Yesterday I was naive thinking that these pictures would make it absolutely clear my position on the tessellation. Whenever there are discrepancies between two fan masses, will be trouble. -I like tesselation like any other graphic effect that I know will improve with time. 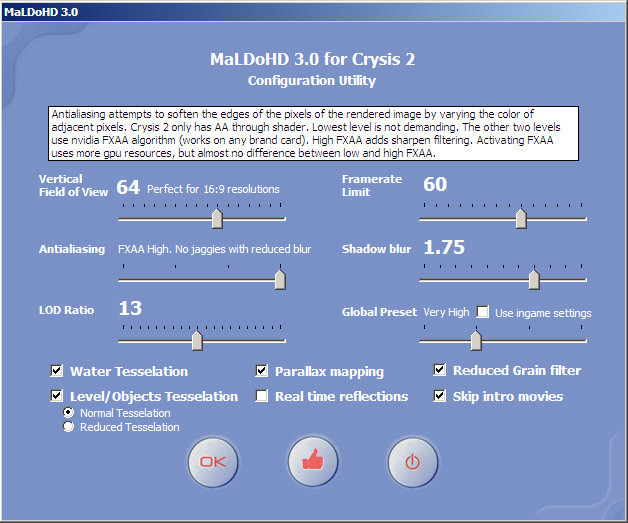 -Crysis 2 does not use models with more detail. Simply use models with more subdivisions and complete with textures as displacement maps to relocate these subdivisions. It is not the traditional way of using tessellation, which includes more detailed models that replace the originals in short distances. -These new subdivisions are evenly distributed by the model, when the best way would be to increase the density only in areas that appear rougher. -An absurdly high number of surfaces and objects have incorrectly applied tessellation. I have tried to solve them in mod all as you can see in previous posts screenshots. -There tessellation applied in places where it is not needed. -The tessellation is very hardware demanding, especially when hardware is already stressed with other things. -The tessellation is highly optimized in CryEngine 3. If not, the excessive number of subdivisions will destroy any card more pronounced. -If it's possible to have a high enough performance playing on "Very High" with the tessellation on, is that in fact, tessellation is not the number one performance enemy. Running game on ultra apply many effects that affect performance as much or even more than tesselation, which are far more subtle to visual quality. Period. Anyone who wants to see here an attack to AMD or defense to Crytek or Nvidia, is in the wrong place. And now the important things. What I can do these days apart from reading comments nip hurry? Click in "Read More"
Fui un ingenuo ayer pensando que con esas imágenes iba a dejar totalmente clara mi postura sobre la teselación. Siempre que haya discrepancias entre dos masas de seguidores, habrá jaleo. Sea esa la intención inicial o no. -Me gusta la teselación igual que cualquier otro efecto gráfico que sé que irá mejorando con el tiempo. -Crysis 2 no usa modelos con más detalle. Sencillamente usa modelos con más subdivisiones y los completa con texturas como mapas de desplazamiento para recolocar esas subdivisiones. No es el modo tradicional de usar teselación, que incluye modelos con más detalle que sustituyen a los originales en las distancias cortas. -Estas nuevas subdivisiones de distribuyen de forma uniforme por el modelo, cuando el mejor modo sería aumentar la densidad solo en las zonas en que aparecerá mayor rugosidad. -Muchísimas superfícies y objetos tienen aplicada la teselación incorrectamente. He intentando solucionarlos todos en el mod como podeis ver en capturas de post anteriores. -Hay aplicada teselación en lugares donde no es necesario. -La teselación es un efecto muy exigente con el hardware, sobretodo cuando el hardware ya está estresado con otras muchas cosas. Entonces, ¿Cuál era mi intención en el post de ayer? -La teselación en Cryengine 3 está muy optimizada. De no estarlo, la cantidad de subdivisiones que muestra destrozaría cualquier tarjeta de forma más acusada. -Si es posible tener un rendimiento suficientemente alto jugando en "Muy Alto" con la teselación activada, es que en realidad, la teselación no es el enemigo número uno contra el rendimiento. Poner el juego en ultra aplica muchísimos efectos que afectan al rendimiento tanto o incluso más que la teselación y que son mucho más sutiles a la calidad visual. Period. Cualquiera que quiera ver aquí un ataque a AMD o una defensa injustificada a Crytek o Nvidia, se está equivocando de lugar. Y ahora las cosas importantes. ¿Qué he estado haciendo estos días aparte de leer comentarios de gente metiéndome prisa? Pincha en "Read more"
I hope you like it and it can be helpful. / Espero que os guste y que os pueda ser de utilidad. When is it getting released?? Size of your Mod please?? I hope more than 2Go. Merci ! Vivement la sortie ! Thats great MaLDo!! Just a question what is "Reduced Tessellation" option? Wonderfull !!!! I love your utility !!!! Want it ! Otherwise, your explanation is perfectly clear (and your tool is helpful) ! So let's cut with complaints. - Reduced number of subdivisions in bigger tesselated surfaces. - Reduced global distance for start to tesselate objects. - Change some tesselation to parallax. You can get this when it'll be done. Maldo hurry up man. they say the world might end soon. I can see that Anonymous wants his drug ! Hurry up Maldo otherwise he might collapse ^^. Many are loosing the focus. It's note AMD vs NVIDIA, it's PC vs Console. After so many facts, it's clear that tesselation in Crysis was rush implemented just to justify DX11 marketing. It's incredible, but tesselation in Capcom PC Games, a videogame developer, brings much more detail to characters than implementation from a natively PC Developer has Crytek. The full developement time was spent making Crysis 2 to consoles, a shame to us, PC gamers. Like MALDO fantastic work on textures, we will need MOD for Tesselation and other thinks to make Crysis 2 really shine. 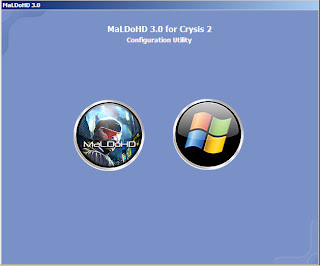 I rather think that Crytek has to patch Crysis 2 to make it as much moddable as Crysis 1 (2 runnables files for SP and MP). 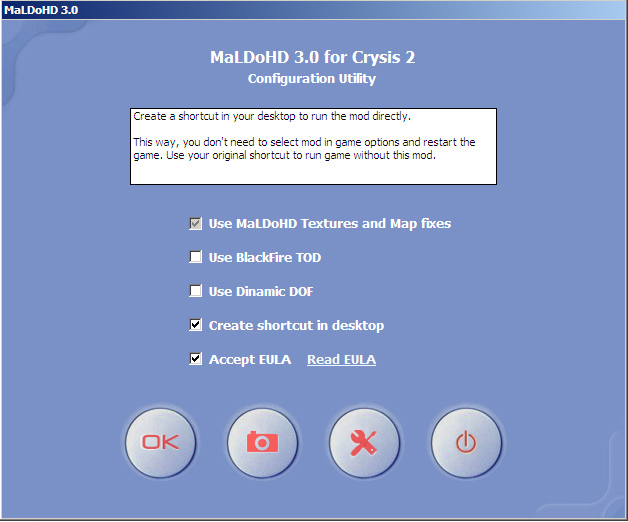 Mods gave most of the success of Crysis 1. 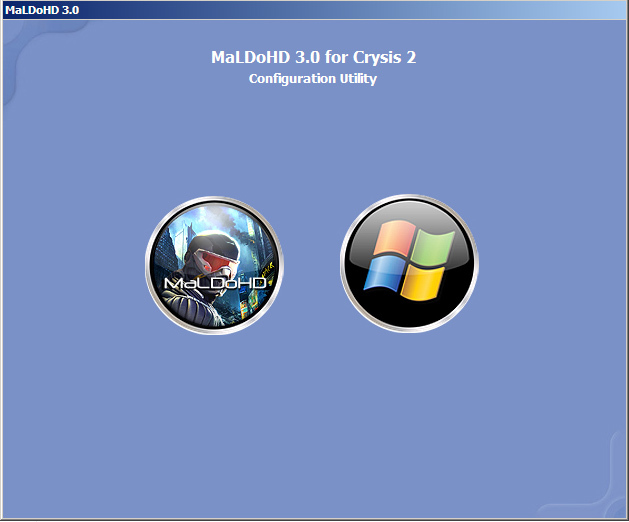 It would be the method to improve Crysis 2 and restore a Crysis 1-Like gameplay. I am fine with Super tessellation, as long as it's implemented correctly. I don't want to see barrels that are 10 sided and see flat surfaces that have a 20,000 poly count. Either everything is tessellated, non is tessellated, or tessellated correctly. please say your getting finished please! I am a beautiful young lady. I love your work and if you release this mod right now, I will give you my number and address so you can make love to me. Gracias maldo por el laburo y la explicacion, estoy de acuerdo con eso y realmente es admirable la paciencia y el trabajo de tu parte.